Mail order bride, nope, mail order groom, not quite, more like 1860’s Nashville TN and a father picking someone off the highway as a prospective son-in-law. This time period is just after the Civil War, we are in the South, and so many families are hurting. Now the carpetbaggers are taking over, or the less than scruples individuals who take from those who are hurting and looing everything, besides their loved ones. 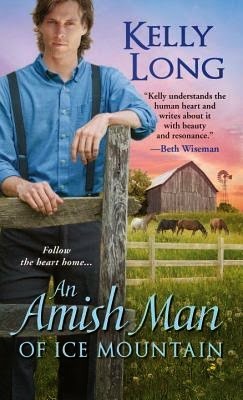 Cullen McGrath is looking for land; he wants to fulfill his deceased wives wish. Everywhere he turns he hits prejudice, former slaves and Irishmen are lumped together as being unreliable and lazy. No one wants to sell anything to him, and he is told to leave town. Now he is offered a picturesque piece of property, and all that goes with it, and all he has to do is marry Mr. Linden’s daughter. Maggie knows she has to marry this man she has never met in order to save Linden Downs. Will Maggie go through with marrying this man, and an Irishman at that? 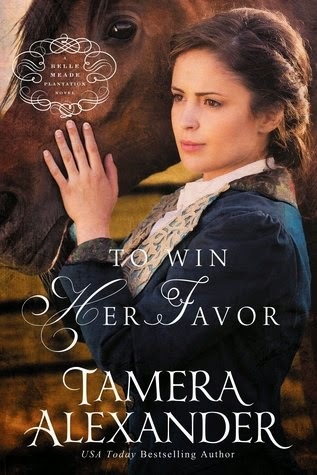 Will she be able to race her beloved horse, or will the new owner take away her dreams? It all lies in her hands, which way her decision goes. Come along with for a different look at the post Civil War era, and how so many lives were affected. I didn’t want the book to end, and there are some unanswered questions here, and I am happy that there is another book coming. Yeah! 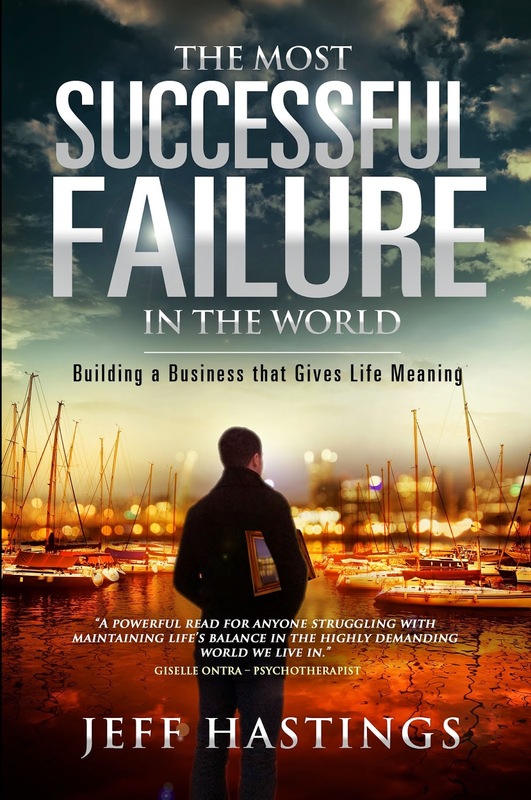 I received this book through the Litfuse Book Bloggers book tour, and was not required to give a positive review. I just finished the second book in this series, and yes you should read the first, but this can be a read alone. When the first book ended Joseph King was departing the mountain to follow his brother Edward and be there for him. We find the men working on an oil rig, and living in West Virginia, with Edward continuing some of his bad choices. Joseph is trying to help, but finding Edward often out of control, how can he change him and continues to plead to God. Joseph has an encounter with a pretty divorced woman and her precocious 4 year old, who he find out are living in their car. Joseph has let all know that he is not interested in marriage, but does God have other plans? I so enjoyed this book and how you don’t see what is coming next. There is such compassion shown by these people, and makes you want to live here. We revisit the ice mine on this picturesque mountain in Pennsylvania. Loved how some of the evil that is present is shown the hand of God, and dealt with in a loving but firm manner. This is a fast and enjoyable read, and you should read the first book, it is referenced and continued here, but you can read this one alone, but don’t deprive yourself! I can’t wait for the next book, and what happens between Edward and Sarah? I received this book through Net Galley and the Publisher Kensington Books and was not required to give a positive review. 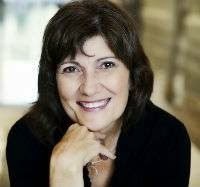 Susan K Marlowstarted writing stories when she was ten years old. I never planned on becoming a published author. I just liked writing stories. But eventually others found out about my secret "writing" and encouraged me to submit. I love to teach. I taught in Christian schools before I home schooled. After twenty years, I finished home schooling but find myself "back in the saddle" as I help other home schooling families, including my grandchildren. You can find FREE stuff to go along with the books at www.circlecadventures.com. Study guides, coloring pages, on-line puzzles, and a link to Andi's Blog. A sweet read for a young teen girl, full of action, and happenings that they can understand. Although, the story takes place back in 1882, making decisions based on looks is something that happens everyday. 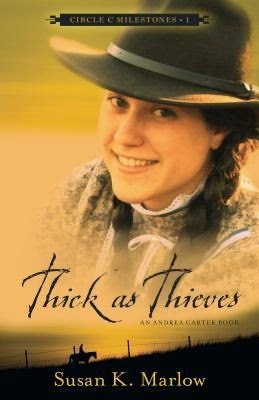 Andi Carter has grown up on a well to do ranch and has her own horse, Taffy, and awaiting the birth of a new foal. We watch her sleeping in the barn, and alerting the family with every breath that Taffy takes that she feels is different. The whole family is joyful when the young horse is born! We go to school with Andi and see her reaction to Marcy, a girl with really no upbringing and a family of ne’re-do-wells. She smells, and could just picture these kids reaction to her. Of course this story does end up revolving around Andi and Mercy, and a personal relationship with God. Enjoy this action packed quick read, you will not regret it, it become a real page-turner. 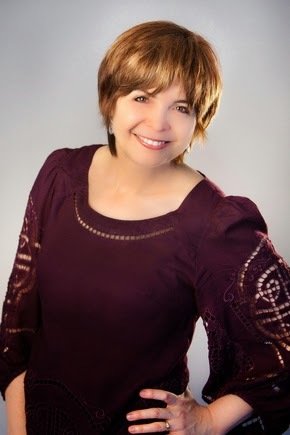 Janice Thompson is a seasoned romance author and screenwriter. An expert at pulling the humor from the situations we get ourselves into, Thompson offers an inside look at the wedding business, drawing on her own experiences as a wedding planner. 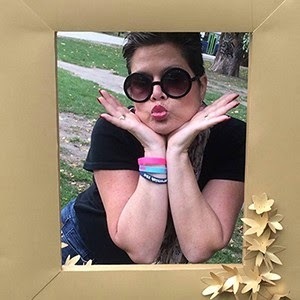 She is the author of the hugely popular Weddings by Bella series and the Backstage Pass series, as well as Picture Perfect, The Icing on the Cake, and The Dream Dress. She lives in Texas. Back in Texas with Brides, and there are mentions of previously loved characters that we have come to know well. 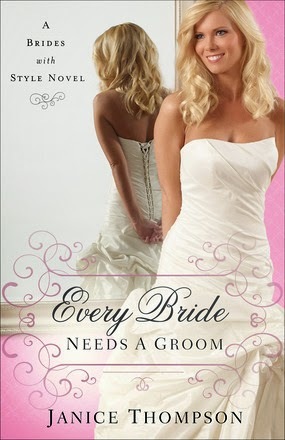 This book focus on a young woman obsessed with getting married, and probably she should be, as she has been in a long-term relationship. When the book opens she is expecting Chase to pop the question any day, or today to be exact. With the anticipated proposal Katie Fisher enters a contest to win an exclusive wedding gown made especially for the winner. When she wins and her prospective groom leaves to take a job elsewhere, what should she do? She feels a moral dilemma to let those the bridal shop know that she is not getting married. What will Katie do? God has his hand on her, and you will love how things work out for her and her family. I never saw all the relationships that are about to start! There is also a sad, long standing, and I mean years, of no contact between Katie’s Grandmother Queenie and her sister. How sad. Come along and enjoy a sweet fast read, that once you pick up you can’t put down. There are a lot of surprises, and family love, enough to go around, I loved this! Kristy Cambron has woven another historic reminder of the evil that took over the world when Hitler came to power. We travel between current times and beginning in 1939 through WWII, when horror took over the world. The story opens with the continuation of the first book, The Butterfly and The Violin, which was such a fantastic read, but this book does read alone. We are at the wedding of Sera and William, and when the ceremony is finish, an arrest happens for a crime that he never committed. The story connects through the decades in unexpected ways, and again we experience the horrors of the concentration camps, and the connection between the families. It’s a world gone mad, and the innocent souls who succumb to the evil, and for what, and how can it end, a timely reminder to this day. This is a page-turner, and one that will linger with you for a long time after the last page is turned. It is a timely reminder of what happens when Satan takes over, and the havoc he pushes forth on a world that has turned it back on God. Come and find the connection between Kája and Sera, and of course Sophie, you will be surprised and heart warmed. 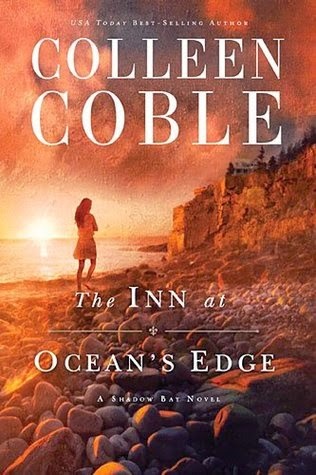 A Heart’s Obsession is the second book in Colleen Coble’s Journey of the Heart series, and like the first we are left with a cliffhanger. When we begin this book Rand has departed for Ft Laramie, Wyoming, Indian Territory. He has left Sarah Montgomery devastated. She is now dealing with the grief of loosing her Dad and the love of her life. She begins her journey to Wyoming with her brother Joel and her best friend Amelia. We are about to experience what she finds when she gets there, and the long arm of evil. The evil appears to come in different forms, and we root for the defeat. Of course the Ben from the first book shows up again, and now there is another person. Another quick read, and has me wanting more, I want to know what happens, and can hardly wait! 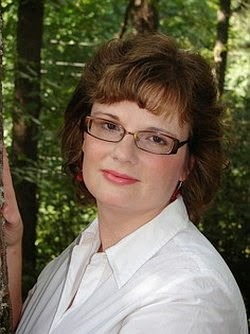 Colleen Coble has done it again with another great suspenseful mystery. This one is a real page-turner from beginning to end, and the suspicion of whom was responsible for the murder or murders changes as I read along. Along with a bit of romance and a rather earth-shattering meeting between the two main characters Claire and Luke, we have missing children. For poor Claire everyone in her family seems to know the secrets and yet no one is willing to reveal anything, why? Luke is dealing with his own demons of loosing his own mother at a young age, was she murdered or just took off? How these people are thrown together in a jumbled twist of fate, and when can you tell what is up and what is down, and who is responsible for all the carnage? This is one twisted tale and keeps giving bits of answers as you turn the pages, but then it seems to change and you are in for a wealth of surprises that you will never see coming. I hated for this one to end and really wanted more when it finished and am so glad that there is at least another book to come. Count me in I really loved this one! 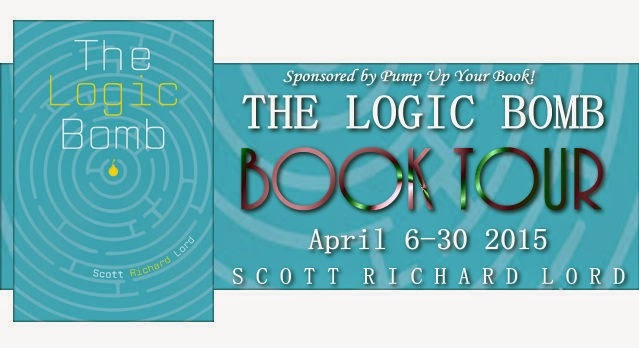 Fiction collides with fact with frightening prescience in Scott Lord’s ripped-from-the-headlines techno-thriller, THE LOGIC BOMB. In his exciting debut as a novelist, Lord, a practicing lawyer, mixes shady financial deals, organized crime, and the real-life threat of cyber warfare into an unlikely but always entertaining blend of high drama and comedy. Lord’s hero, Tom Tresh, is a Los Angeles lawyer living on an aging sailboat while struggling to support his seven-year-old son and an ex-wife. When a friend offers him a “huge payday” if he helps with a shady deal to sell a complex but seemingly harmless computer program to a Hong Kong company, Tresh finds himself in a firestorm of intrigue, because the program is actually a powerful cyber weapon, capable of infiltrating and destroying computer systems. Lord cites former National Security Advisor Richard A. Clarke’s 2010 book, “Cyber War,” as one of the chief inspirations for writing THE LOGIC BOMB. 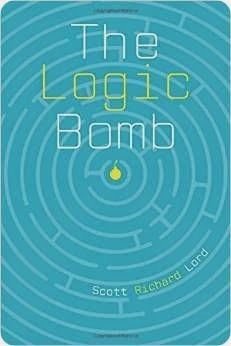 Lord explains that a logic bomb is a type of cyber weapon, a "virtual explosive," that can infiltrate various systems and wreck them. So-called “logic bombs” actually exist, says Lord, and, according to the best authorities, are already planted in U.S. software programs that run our financial, transportation, utility and – scariest of all – defense systems. 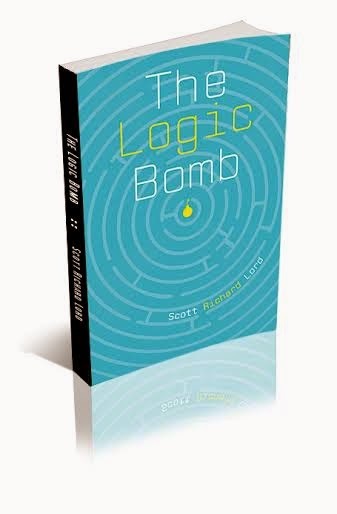 The Logic Bomb is available at Amazon. 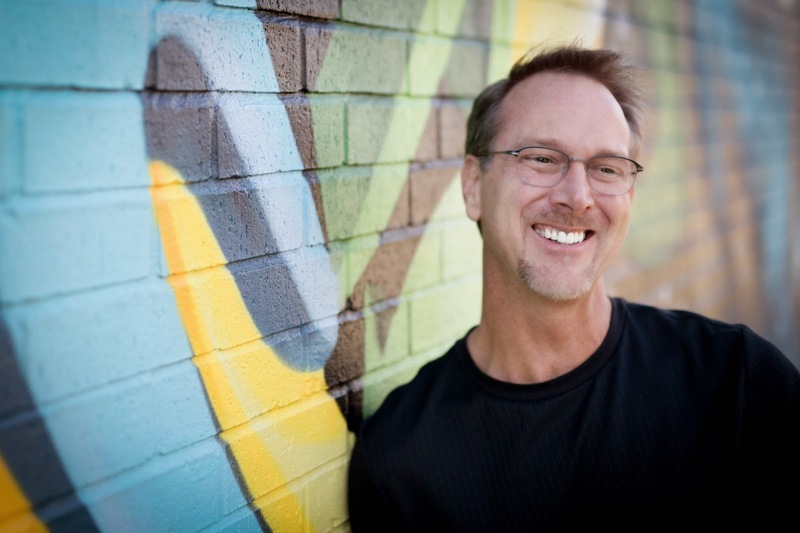 Scott R. Lord has been a highly successful criminal and civil trial lawyer for 35 years and is active in the practice of law with the law firm of Cohen & Lord, a P.C., located in the Century City area of Los Angeles. Scott is a devoted student of Italian language and literature. He is the father and step-father of six children and lives with his wife and children in Santa Monica, California. His latest book is the thriller, The Logic Bomb. 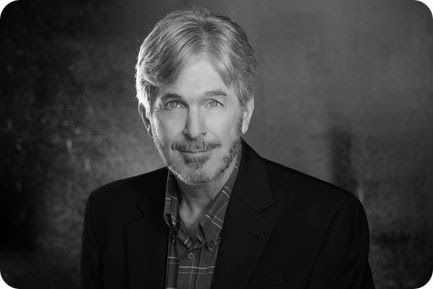 Visit Scott R. Lord’s website. Find out more about Scott at Goodreads. My telephone rang at 5:20 a.m. When I picked up, a computer voice told me it was a collect person-to-person call from “Charles Papadoks.” I accepted. The only people who call collect these days are in jail. “Tom, you there?” It was Charlie, of course. “Charlie,” I yawned, “what’s going on?” There was a lot of crackling on the line. “Just shut up. Take my advice for once.” They didn’t advertise the fact, but pay phone lines at jail are recorded. I hung up. I turned on the television to a local station. I could see a helicopter view of a crime scene lit up like a movie set, with crime scene tape and dozens of people milling around. The reporter was saying that two bodies were found near the old Spahn Ranch. The early morning news anchor, clearly hyped on too much caffeine, was playing up the Manson angle and the crawl at the bottom of the picture kept repeating, “Spahn Ranch Bloodbath – Manson Copycat Feared.” A police helicopter was circling overhead, and at least two news helicopters were there to cover the “breaking” news. The anchor quoted an unnamed police spokesman as saying that one of the victims had been killed with one shot in the head, and the second body had been disemboweled. Smith answered his cell phone. “We have a witness, Tresh. She was walking her dog a few minutes after midnight. Says she saw someone coming from this field. Charlie’s business card was in one of the victim’s pockets. “Very funny. I’m pretty sure it’s not Charlie, but I gotta follow up. And all Charlie’ll say to us is he wants his lawyer and you’re it. trickle of blood from the red spot on his forehead and the fact that he didn’t seem to be breathing. He wasn’t in a yogic trance or pose. He was a corpse. And I knew him. His name was Chet Harris. As the book opens we meet Rosanna and Timothy, a typical Amish couple. Nope not by a long shot, at least not Timothy, he sure doesn’t seem to live his faith. Fast forward ahead a few years, and we find Rosanna living a better life, or is she? She is now married to Reuben and as we meet him we feel a breath of fresh air. He appears to care about his wife and children, and seems to be a man of deep faith. Rosanna has a very full plate, taking care of her family, all her household chores, and her love of her community. We walk in her shoes as she goes about her daily chores, and those chores seem to multiply as each day comes. She seem to be at the breaking point at times, and you will worry about her health, how much can one woman take? Enter a new woman whom Reuben seems to have taken under his wing, and has arrived at a time when he wants to cut back on his working. Nan looks like a Godsend, she is in love with the business, and has her hand in everything, including expanding. 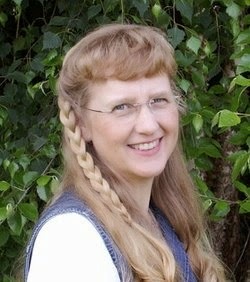 Sounds like a perfect Amish life here, but things are not how they are being presented. 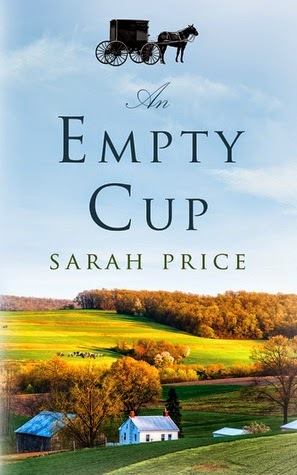 Come along for another impossible to put down read by Master Story Teller Sarah Price, you will not be disappointed. 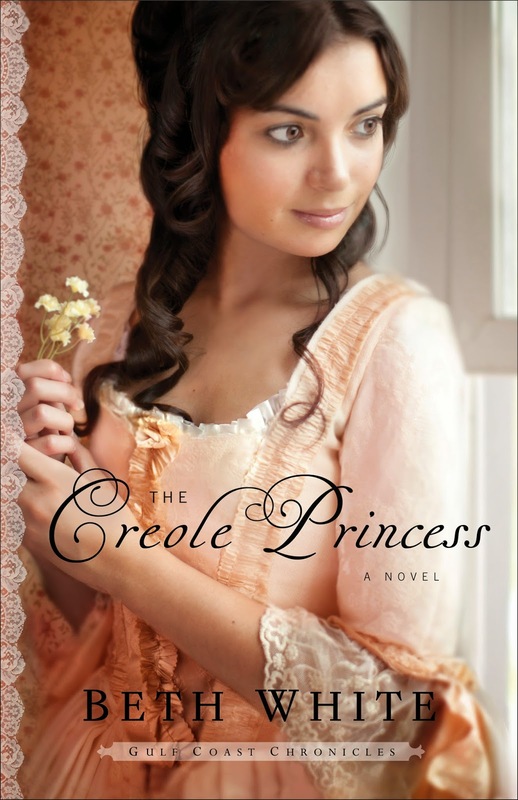 The Creole Princess is book two of the Gulf Coast Chronicles, and a continuation of a legacy of strong woman. This book can be read without reading the first book, but The Pelican Bride is awesome. We are at threshold of the American Revolution and with the descendants of Ginnie and her sister. These granddaughters are making a difference in their own way. Lyse is taking care of her family, and Scarlet, a slave, and yes they are cousins. A page-turning look at the beginnings of our nation and the people that helped bring forth this great country. These are not regular Patriots we meet a totally new perspective of how things happened and who were the helpers. This book has it all, and while we think we have things figured out and who is who, things are not always as we perceive. We have real patriots here who risk everything to help bring forth the change. We have some who are related with family on both sides. There is a bit of romance, and some terrible prejudice, when I wasn’t expecting it. Once you open the covers the pages will begin flying and you won’t be disappointed, except in some people. Come and enjoy the story of those who gave it all for the American. I received this book through Revell Publishing Publicity Book Tours, and was not required to give a positive review.